process series with excellent press stability. If the need for a fast-drying ink is on your list, OXIFAST will be your choice of ink. OXIFAST is a versatile and user friendly high speed fast drying process series with a controlled ink water balance and excellent press stability throughout the entire print job. 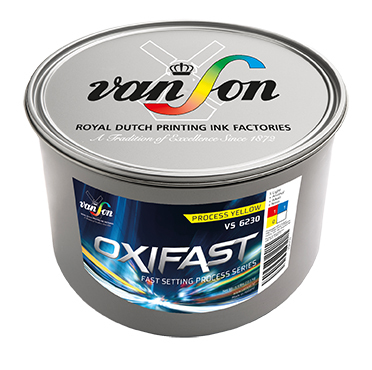 In addition OXIFAST will give you strong colours and ensures a rapid work flow and efficiency in the print shop with minimum delay. 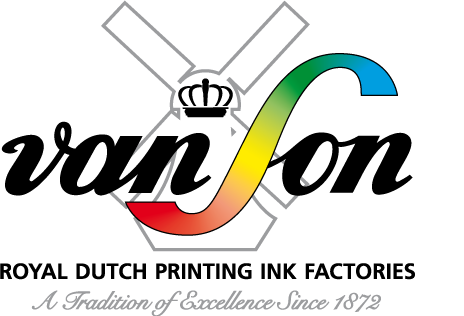 OXIFAST is based on the latest binder technology and therefore perfectly suited for the latest generation of straight sheet fed offset printing machines, and is manufactured in accordance with ISO 2846-1 and will therefore print in accordance with ISO 12647-2. OXIFAST offers excellent drying on various types of paper and board, ranging from gloss coated, uncoated, silk and matte to recycled stock. OXIFAST process colours are not duct fresh but offering printers in exchange the fastest drying by a combination of penetration and oxidation. The result is an easy to use offset ink with excellent press stability, which can be used for a wide range of printing jobs on small, medium and large sized offset presses. OXIFAST is suitable for a wide range of finishing applications and provides the flexibility required to print on a wide variety of substrates, including gloss coated, silk, matt as well as uncoated and/or recycled papers and boards. OXIFAST process colours are not suitable for food packaging without a functional barrier. At Van Son our only business is ink. We are constantly creating inks you need for every application, with the quality and consistency you can count on. © 2019 Royal Dutch Printing Ink Factories Van Son. All Rights Reserved.